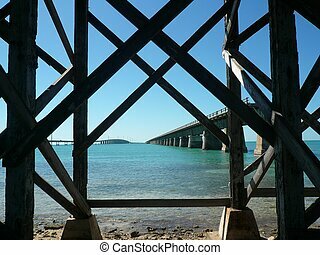 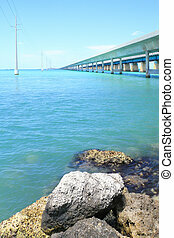 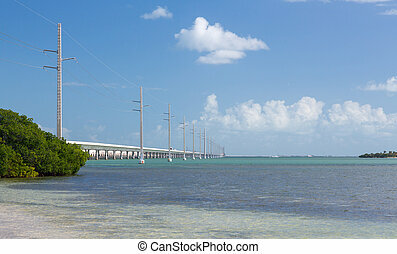 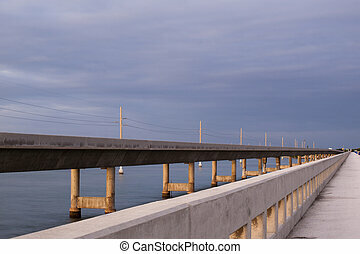 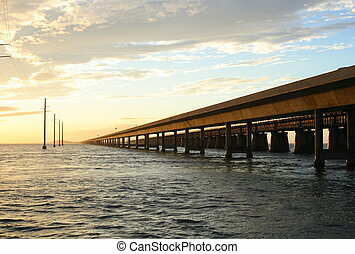 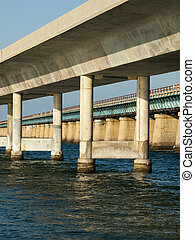 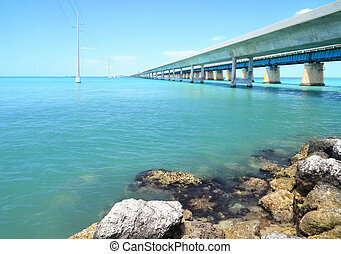 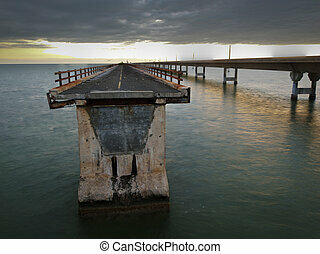 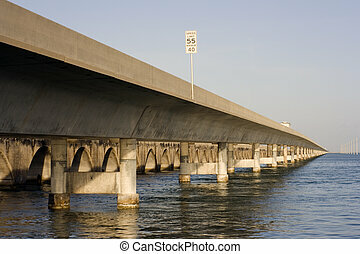 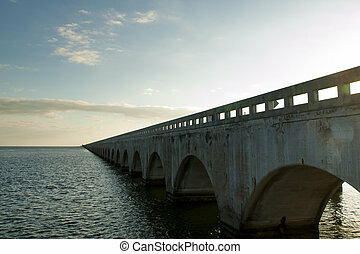 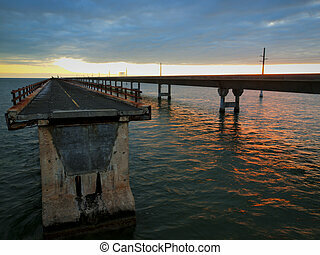 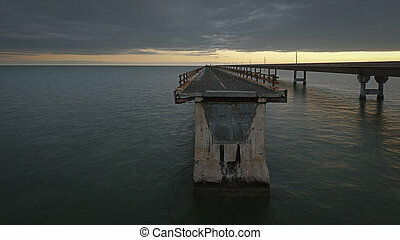 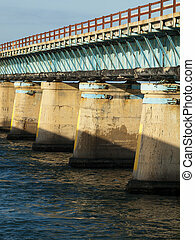 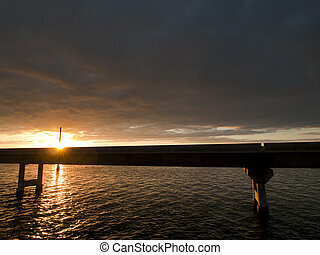 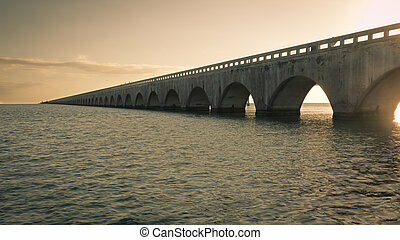 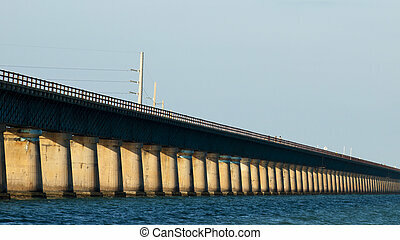 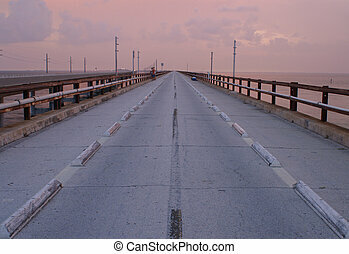 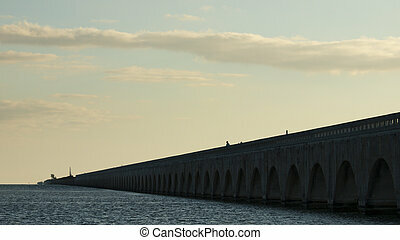 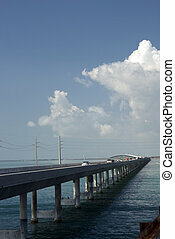 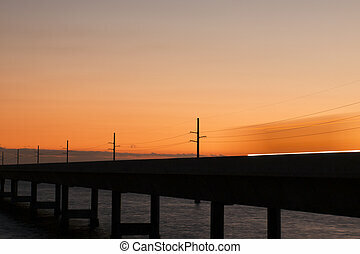 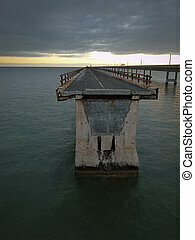 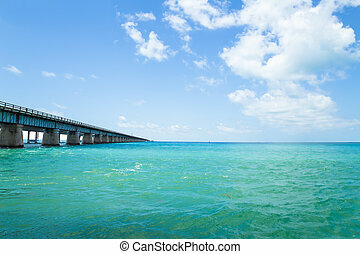 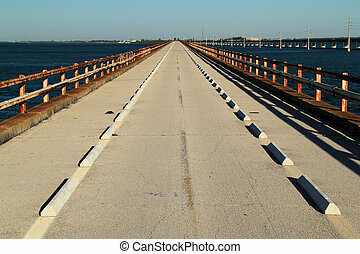 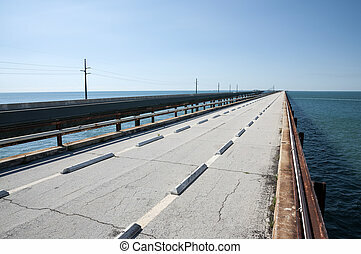 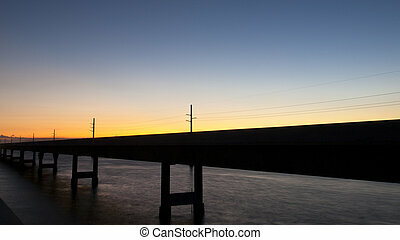 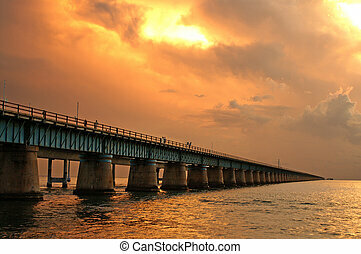 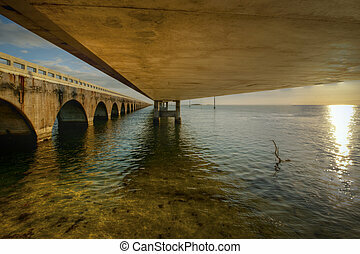 The seven mile bridge is a famous bridge in the florida keys. 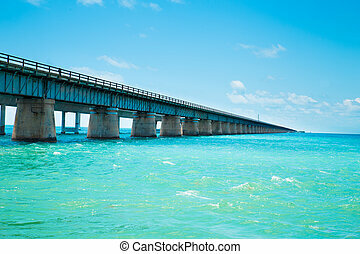 Seven Mile Bridge - Florida Keys. 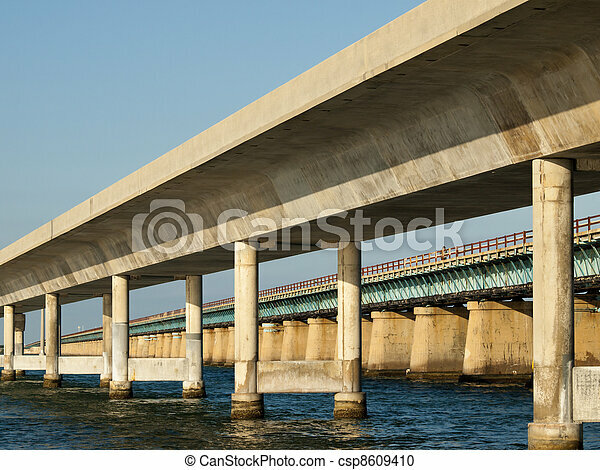 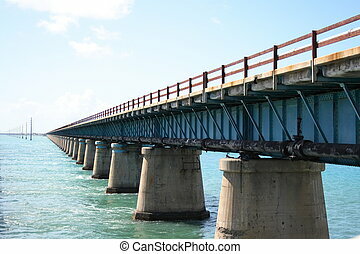 Old and New Seven Mile bridge come together to connect the Lower Keys. 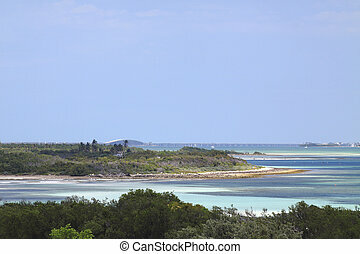 Shot from Pigeon Key, in the Florida Keys.